At a time of heightened public interest in environmental issues and a growing demand for experts in the field, Elmhurst College has launched an innovative undergraduate program in environmental studies. Distinguished by its interdisciplinary approach and integral use of the Chicago metropolitan region as a real-world laboratory, the new Environmental Studies Program at Elmhurst College will offer two degree options—a policy-focused bachelor of arts degree and a science-focused bachelor of science degree. “The integration of knowledge from the natural sciences, social sciences and humanities will unlock creativity, allowing participants to think across boundaries as well as spur them to learn other disciplinary content, methodologies and perspectives,” said Constance Mixon, associate professor of political science and acting director of the Environmental Studies Program. The goal of the program is to produce professionals who can address a variety of the world’s environmental challenges and opportunities. Students with a degree in environmental studies will be prepared for careers in environmental policy analysis for government agencies and the private sector, urban and regional planning, environmental advocacy, and natural resource management and research. Taking advantage of its location in the heart of Chicagoland, the Elmhurst program offers students real-world experiences and opportunities to participate in and develop sustainability initiatives for the public and private sectors. It also draws from academic departments across campus to create a program that will engage student interests and create new research opportunities for faculty. 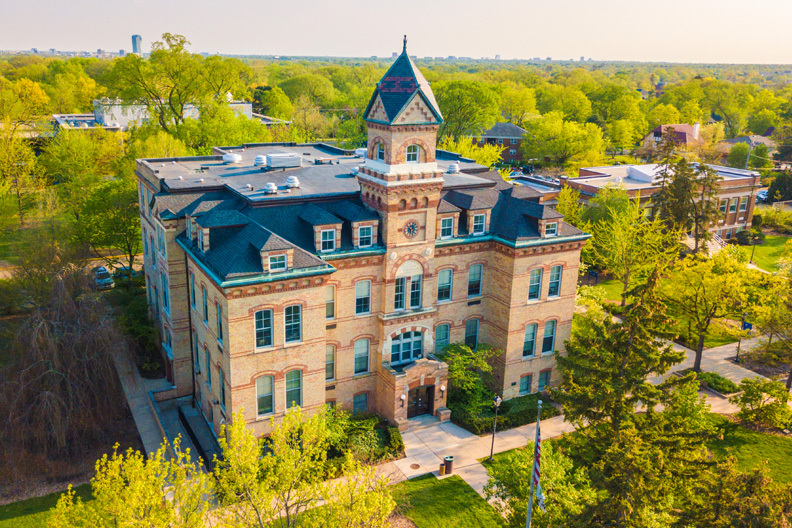 Last spring, the prestigious Arthur Vining Davis Foundations awarded Elmhurst College a planning grant that enabled the College to begin development of the program. “We’re so grateful to the Arthur Vining Davis Foundations, whose support helped us to lay the foundation for our exceptional program,” Mixon said. Elmhurst College will accept its first class of environmental studies majors this fall. For more information, contact the Office of Admission at (630) 617-3400 or admit@elmhurst.edu.